Having a small bathroom isn`t a problem when you know how to organize things so you will be able to enjoy the time you will be spending there. 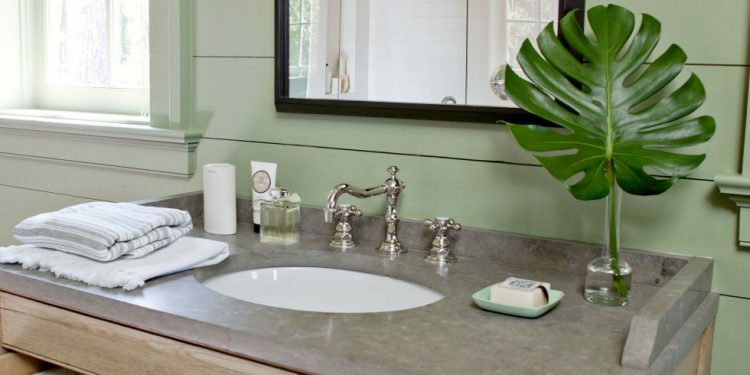 Here are a few of the best small bathroom projects that you will certainly enjoy. Your bathroom will look better if you decide to implement these ideas to your home. Adding a lot of mirrors in the bathroom will make the room feel like bigger. The mirrors are also great for reflecting light fixtures or windows. You can build yourself a wall mounted toilet in order to save some space. You will see that if you do so, you will save leg room and also floor space. You can consider adding a shelving if there isn`t a possibility to wall mount the toilet. The shelf will be a great place for you to store different things. You can also add some art to the shelf. No one likes shower curtains because they will stick to you when you are cleaning and they are also hard to clean. You can choose a frameless glass panel instead of the shower curtains. The glass panels are easy to install and they are perfect for small bathrooms. Another great thing about them is that you can fold them inward when the shower is not used so you will save space. The sliding shower glass panels are harder to clean and you should avoid these. This shower is a great idea especially when it comes to cleaning by eliminating the curb, your flooring will continue into the shower. If you have tile floors, concrete or stone slab ones you can choose this design because it looks really good and it works with small bathrooms. Wall mounted sinks are also a great idea to save some space and your bathroom is going to appear being more open. You can try a wall mounted floating vanity for everything you need to store. If you have a small bathroom than you know the struggle when it comes to space. This is when the vertical thinking comes in handy. You can add shelving on the wall above the toilet and you can also choose some narrow shelves to keep the look light. Another great idea when it comes to vertical thinking is that you can use some metal towel racks. Another storage place is the back of the door. You can easily add robe hooks here or even towel bars.